The London-based dealership, Sutton Bespoke, has built a scintillating program for the Ford Mustang with 800 horsepower on tap. The outrageous car is set to debut at Top Marques Monaco, one of the most exclusive auto shows in the world. It’s not common for an aftermarket tuner to receive space at such a high-end event, so clearly, this Mustang is special. 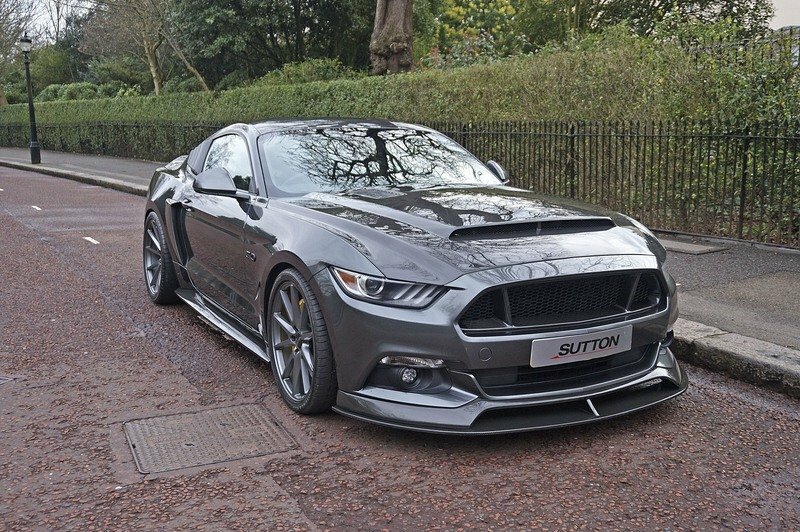 Sutton Bespoke’s kit for the ’Stang is officially called the “Sutton CS800,” and as the name so eloquently implies, it comes packing enough power to make a run at established, Europe-based muscle car tuners like Geiger Cars. More than just its mouth-watering output, the Sutton CS800 also features plenty of aesthetic enhancements, most prominent of which is an aerodynamic kit that turns the Mustang into a beefier and more intimidating version of itself. Carbon fiber is a material of choice in the kit too and since the dealership does have “bespoke” in its name, expect plenty of fancy and luxurious amenities inside the muscle car that the affluent crowd in Monaco will surely approve of. The Sutton CS800 program is pegged at a cost of £64,950, donor car included. That converts to around $83,000 based on current exchange rates. Say what you will about the current-generation Ford Mustang’s appearance, but you can’t argue that it’s aesthetics is very inviting to aerodynamic body kits. 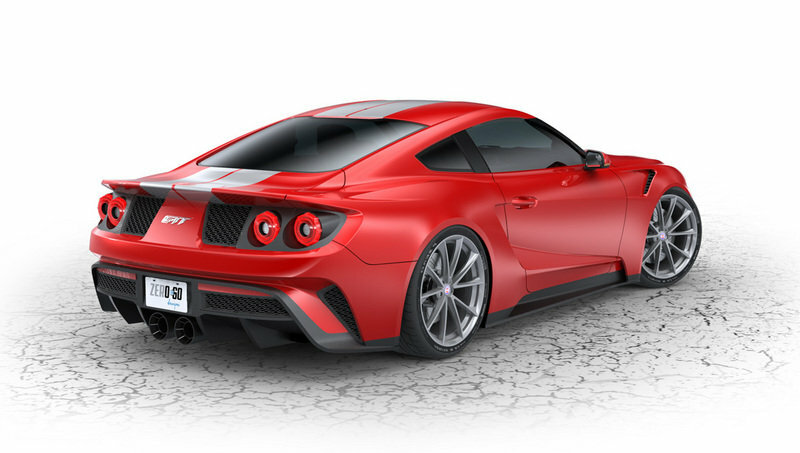 Sutton Bespoke proves as much with its prepared kit for the muscle car, which includes a carbon fiber front splitter, side skirts, and more carbon fiber bits on the custom rear valence and trunk lid. 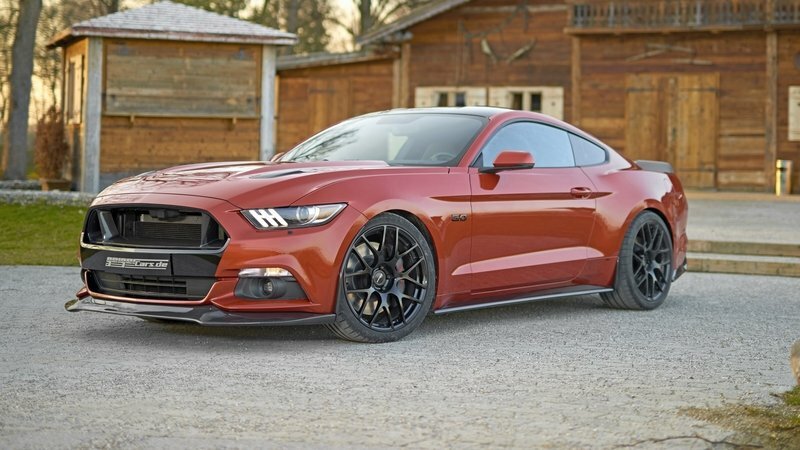 Even the ‘Stang’s traditional hood has been set aside for a version that features its own massive hood scoop ala the Super Snake. 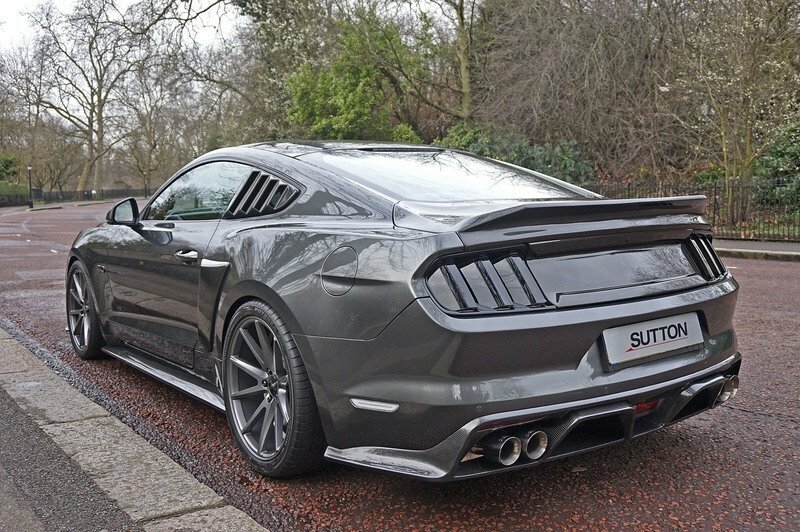 Suffice to say that nothing about Sutton Bespoke’s exterior upgrade for the Mustang reflects the muscle car in its traditional guise. It’s definitely an eye-catching piece, one that I’m sure will have fans and detractors alike. This program was unveiled in April 2016, but even if a year has passed since its debut, it still strikes an impressive stance, thanks in large part to having its own carbon fiber-clad aero kit that comes with its own front splitter, side skirts, a trunk-mounted rear spoiler, and a rear diffuser. 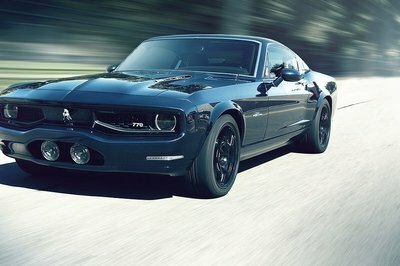 You’ll also notice how the profile looks slightly off-kilter compared to the standard Mustang. 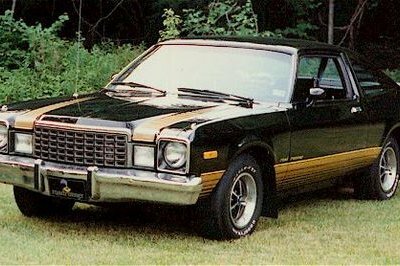 That’s because of the absence of the muscle car’s traditional Ford grille, which was taken out entirely in favor of a pair of carbon fiber flat pillars on the edges. 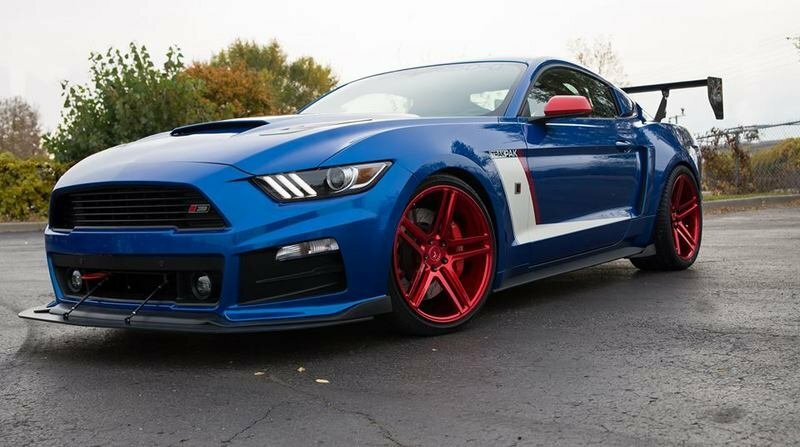 If Geiger’s kit isn’t to your liking and you prefer your Mustangs to look more like an actual race car, Roush Performance’s Trak Pak is a good alternative. Photos of the muscle car wearing the full kit speak for themselves, but it’s also worth pointing out that the kit is made up of – you guessed it – an aggressive front splitter, extended side skirts, and a massive rear wing. What separates this kit though from other tuners is its visual metamorphosis from a standard one-color body finish to a polished blue finish with matching red and white trim on the doors and body of the car. note: side-by-side photo of the Ford Mustang GT 820 by Geiger Cars and the Ford Mustang Trak Pak by Roush Performance. Interior upgrades included in the Sutton CS800 largely revolve around a bespoke carbon fiber dashboard and enough Sutton badges and “CS800” stitching throughout the cabin to make you remember exactly who built this project. 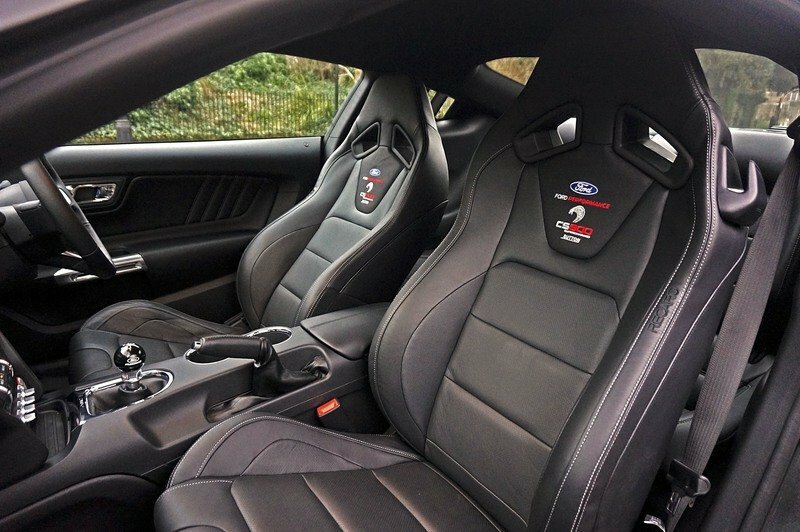 Apart from these two additions, the interior of ‘Stang also gets custom sports seats from Recaro and a short-throw shifter for the car’s six-speed manual transmission from Ford Performance. The Recaro seats, in particular, are specially fitted electric height and reach adjustments, features that are not usually available on cars from that side of the Atlantic. As for the actual display car at Top Marques Monaco, Sutton Bespoke threw in a nine-speaker, 1,100-watt Audiofile audio system upgrade. It’s unclear if the Sutton CS800 program is eligible to get what the company calls the Sutton Bespoke treatment. This can be best described as a next-level upgrade that features bespoke materials like “Alcantara, Napa and English Hide, Real wood veneers, and Piano black Lacquer,” as the company’s website describes. Somewhat surprisingly, the previously mentioned GT 820 and Trak Pak programs from Geiger Cars and Roush Performance, respectively, don’t come with any interior upgrades. 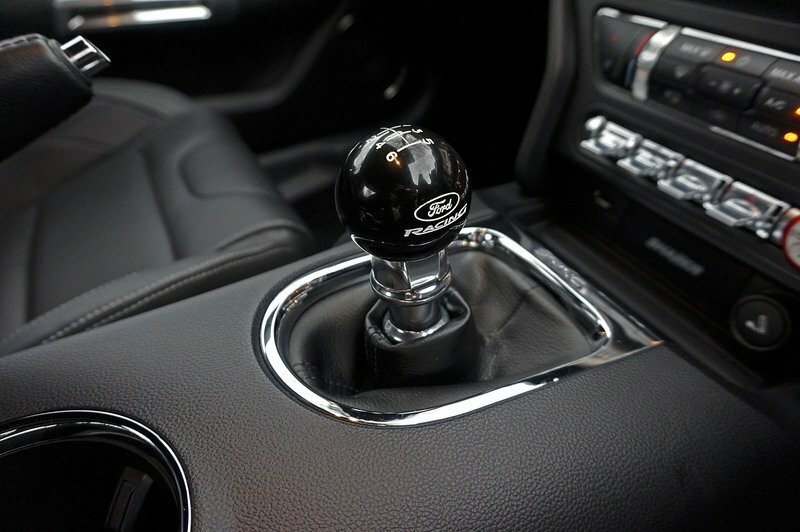 If customers are looking for interior upgrades for their Mustangs, Ford’s wide variety of add-ons, accessories, and packages provide a good menu to choose from. 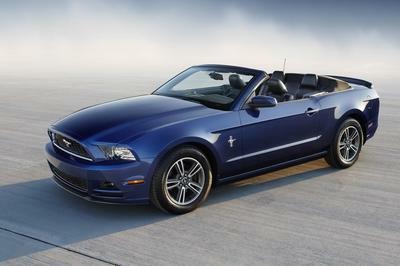 One package in particular that Mustang owners might find enticing is the California Special Package. This package comes with, among other things, ebony leather, Miko suede seat inserts with red contrast stitching, and bespoke aluminum. At the heart of Sutton’s CS800 program is an extensive engine upgrade that helps bring out 800 horsepower from the Mustang’s 5.0-liter Coyote V-8 engine. The dealership/tuner accomplished this by dropping a Stage 2 Whipple supercharger and an upgraded intercooler into the engine. From there, new injectors and a larger throttle body were also installed, increasing the capacity for more air and fuel to travel into the V-8. 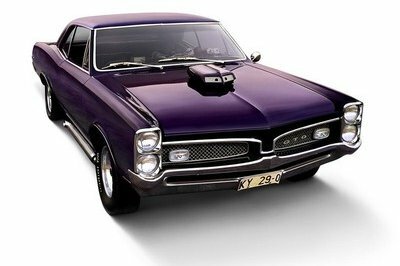 The end result is an increase in power of around 350 ponies from the muscle car’s standard output, which has been pegged at 455 horsepower. 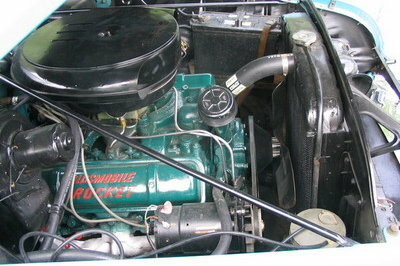 No torque figures have been released but expect it sit in the vicinity of 550 to 600 pound-feet of torque. Expect more details to be revealed by Sutton Bespoke in the coming days or weeks, including potential performance figures, which I imagine is going to be breathtaking, that is if you’re the type who enjoys getting your money’s worth on the whole program. 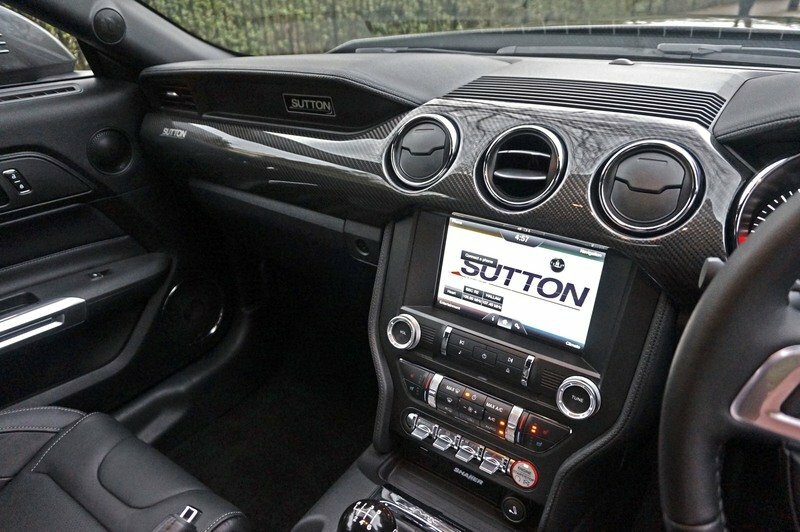 Suppose that you’re not just that into the Sutton CS800 program and you’re looking at alternative kits for your aftermarket Mustang fix. 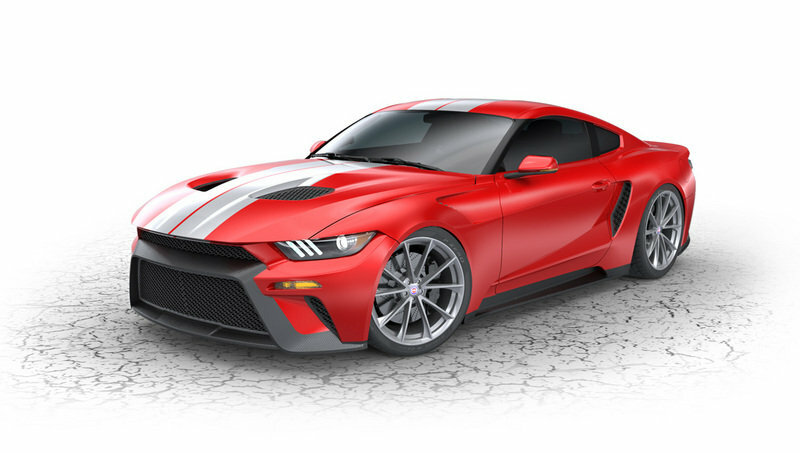 There is a slew of options to go by, including the aforementioned GT 820 and Trak Pak programs from Geiger Cars and Roush Performance, respectively. Geiger’s program, for example, comes with its own 2.9-liter supercharger and a handful of new parts, including a new crankshaft, forged pistons, steel connecting rods, a cold air intake system, and a stainless steel sports exhaust system. Put all these new components together and you get a wrecking ball of a Mustang GT that’s capable of unleashing 820 horsepower and 560 pound-feet of torque. Another alternative is Roush Performance’s Trak Pak, which actually comes with a three-phase program that tops out with a Phase III kit that has its own supercharger upgrade and upgrades made to the car’s fuel bump booster kit. The end result is an output that reaches in excess of 850 horsepower, enough to squeak by the numbers attained by both Sutton Bespoke and Geiger Cars. For those looking for other options, tuners like Hennessey also have kits available for the Mustang that reach the 800-horsepower territory. Guess what? A 2.9-liter supercharger strapped into the Mustang’s Coyote V-8 was also involved in that upgrade, as were new and upgraded components like fuel injectors, coil pack covers, and a fuel pump. Hardly a surprise, right? Then there’s this program, which drew plenty of controversy when it was released for having a body kit that strongly resembled the new Ford GT. This project car was developed by a company called Zero to 60 Designs and was shown at the 2016 SEMA Auto Show in Las Vegas. While the exterior upgrades drew most of the attention towards the car, it also featured an impressive engine upgrade program made up of a ProCharger supercharger and a PCT Performance management system that reportedly helped generate “at least” 800 horsepower out of the Coyote engine. Check out the table below to see where Sutton Bespoke stacks up against the competition. 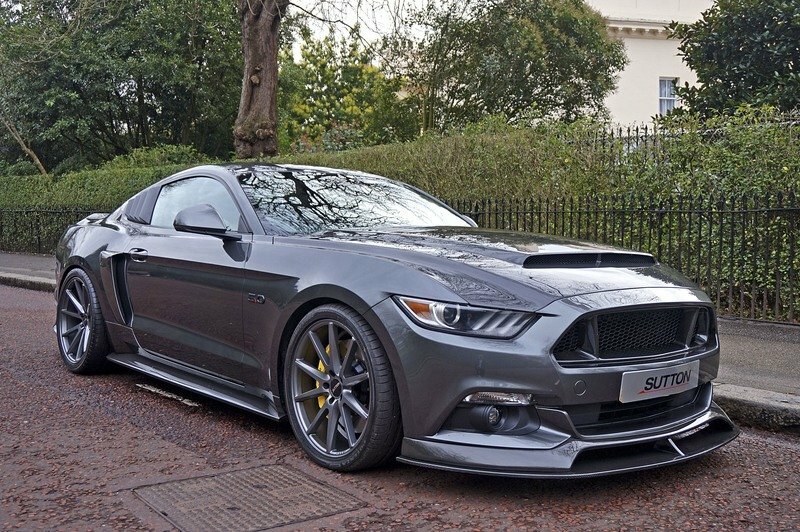 Pricing for Sutton Bespoke’s program, actual Ford Mustang included, comes up to £64,950. That converts to around $83,000 based on current exchange rates. It’s a pretty steep price to pay, but if it results in owning this souped-up, muscle-bound glory of a pony car, I’d say that’s money well-spent. There’s this program for the Ford Mustang that drew a lot of controversy for having a body kit that strongly resembled the new Ford GT. This project car was developed by a company called Zero to 60 Designs and was shown at the 2016 SEMA Auto Show in Las Vegas. While the exterior upgrades drew most of the attention towards the car, it also featured an impressive engine upgrade program made up of a ProCharger supercharger and a PCT Performance management system that reportedly helped generate “at least” 800 horsepower out of the Coyote engine. As with most Ford Mustang programs go, choosing one over another is purely a matter of preference. Sutton Bespoke does well for itself by having a program that can appeal to a wide swath of Mustang owners. It has an impressive aero kit, a nicely dressed interior, and an engine upgrade program that can compete with what the competition has to offer. The only downside to this kit, at least as far as potential U.S. customers are concerned, is that it won’t be available in this area of the world, leaving our friends over in the UK to enjoy them in all their glory.